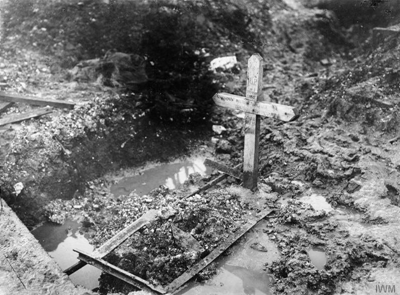 WW1 soldiers were usually buried near to where they fell and a simple wooden cross was erected to mark the location. 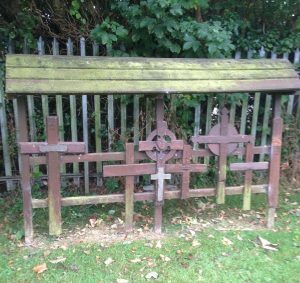 Often these crosses were handmade by comrades and friends using materials that were to hand at the time. During the war and for many years after a huge project was undertaken to identify the isolated graves scattered across battlefields, replace the grave markers and eventually re-inter the men in mass military cemeteries with official headstones. For local families who had sons, husbands or fathers buried overseas this was hugely important, as most would never have the opportunity to visit the war graves overseas or have a funeral for their loved ones. 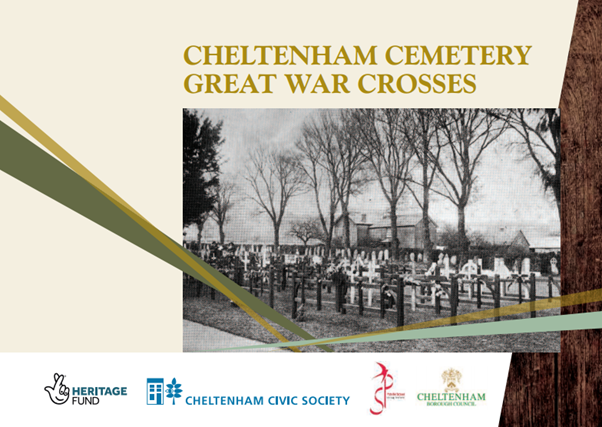 The wooden crosses were mounted on rails in the entrance to Cheltenham Cemetery, Bouncers Lane. By 1928 around 230 had been returned in total, but today only 22 remain. 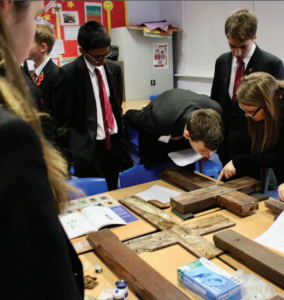 Pupils from Pittville School have been researching the men whose names are on the crosses and displayed their findings at the launch event. You can read more about the men they researched and about the conservation process in the free downloadable booklet created about the project.